A chicken is also a blank slate when it comes to flavors. Whatever is in the fridge is ideal to throw in it and on it; perfect for when you are in a rush. Enter my friend’s cilantro and lemon. For kettle grilled chicken, light a two zone fire for indirect heat. For me, that means coals pushed to one side. Figure on medium heat, about 350 F.
Chop the cilantro. Zest about 2 tablespoons of lemon. 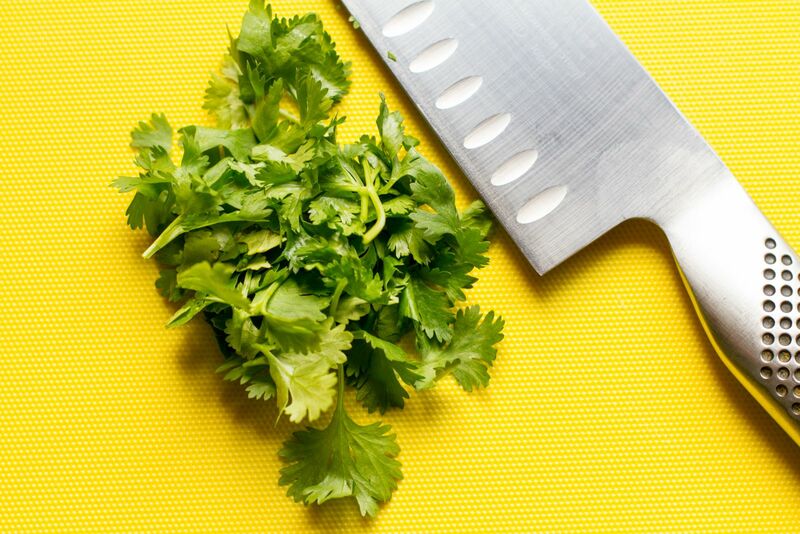 Mix together the cilantro, lemon zest, salt, and pepper in a small bowl. Mix half of the cilantro mixture with the butter in another bowl. Whenever I grill a whole chicken on the kettle, I like to work a butter mixed rub under the skin. Yes, rubbing the skin makes the skin taste great, but to really bring out flavor in the chicken, you need to be in contact with the meat. Use a finger…or fingers…to separate the skin from the meat. The skin comes away pretty easily. Work your fingers all the way up to the neck and down to the wings. Next, add the butter evenly to both sides. Once done, truss the bird, cover with the remaining rub, and ready the grill! The total cook time will be about an hour and fifteen minutes, or until you reach an internal temperature of 165 F. Since the fire is on one side of the chicken, rotate the bird 180 degrees halfway through the cook to ensure even heating. Busy day? Busy week? Plan the one meal that keeps on giving. It's surprisingly easy, and not surprisingly, very, very good.